I thought I'd share a tablescape with you today. I started with a snowflake tablecloth from Kohls. The snowman salad plates are from QVC. and just perfect for this time of year. The chargers are from the Oneida Ltd. outlet. My gingham flatware is from Spiegel, many moons ago. I bought the snowman napkin rings on Ebay a few years back. followed by my mercury glass votive candle holders. And that is that...sweet & simple! 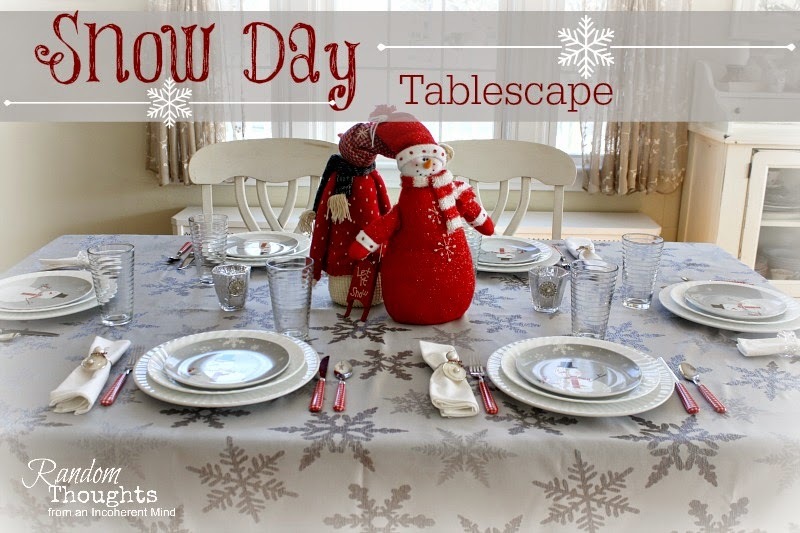 That is the cutest wintry table, Gina! Those QVC plates are adorable and the red gingham flatware....I'm swooning! 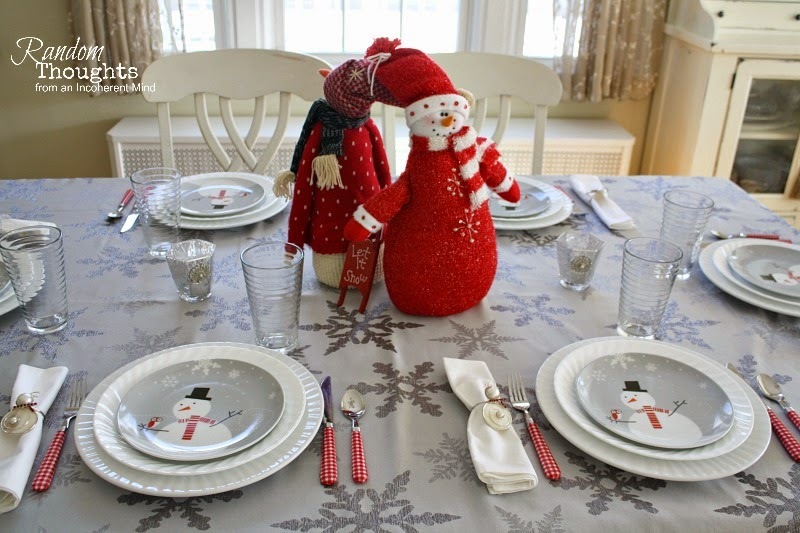 The Kohl's tablecloth sure set the stage for your cute snowmen. Your table would warm anyone's ❤️. I hope it has stopped snowing! Your table is so cute with all the snowman. 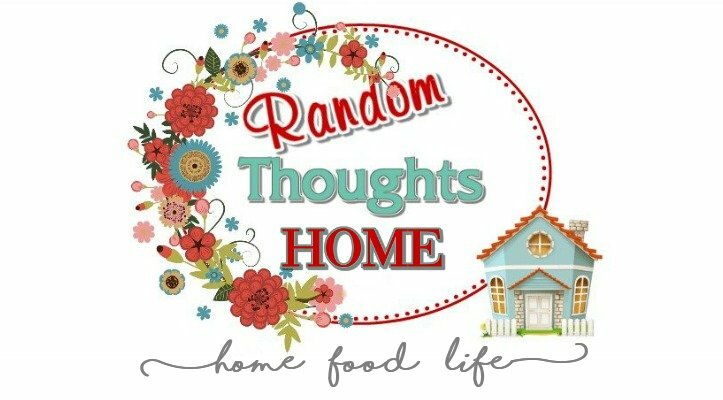 I have missed your tablescape posts!! 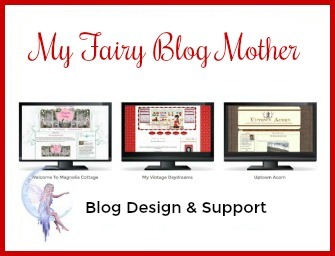 I love the touch of red with all the white, perfect for a snowy day!! All our snow is pretty much gone and we have had above average temps here lately. 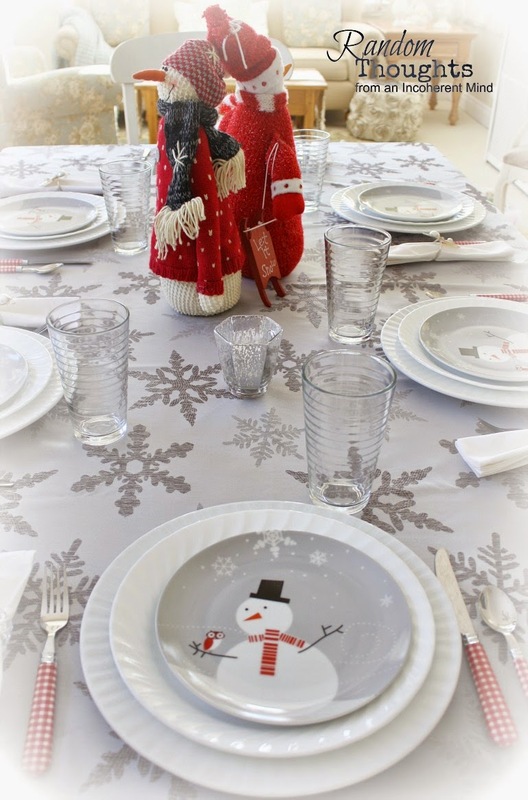 I LOVE your winter tablescape, Gina! You put it together perfectly! Oh my yes I loved Speigle - my Dad used to hide the catalogues I think lol. I have always been a catalogue shopper. 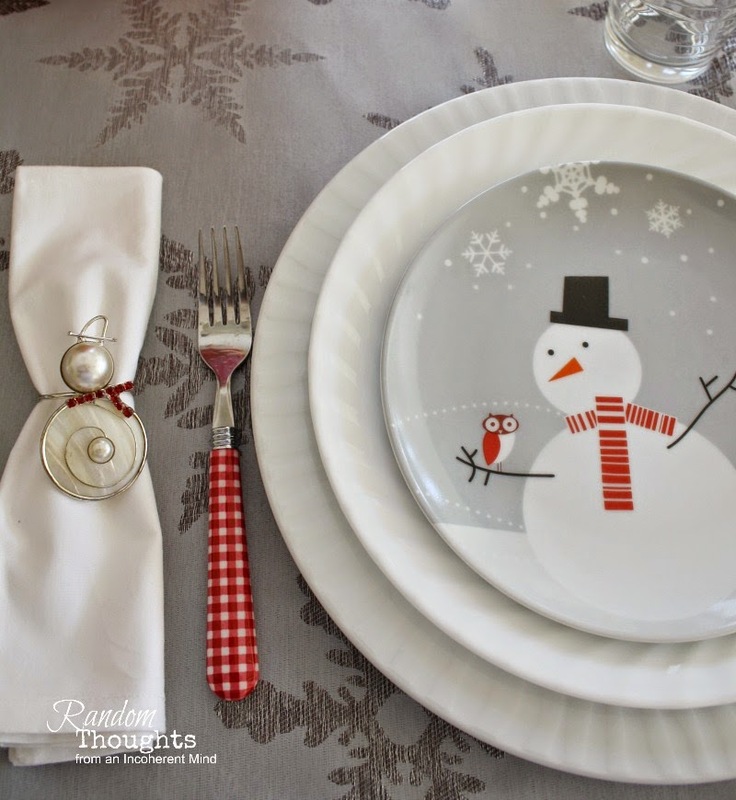 Those snowman napkin rings are DARLING! I remember Speigel catalog, I also wanted everything in it, loved the housewares too! 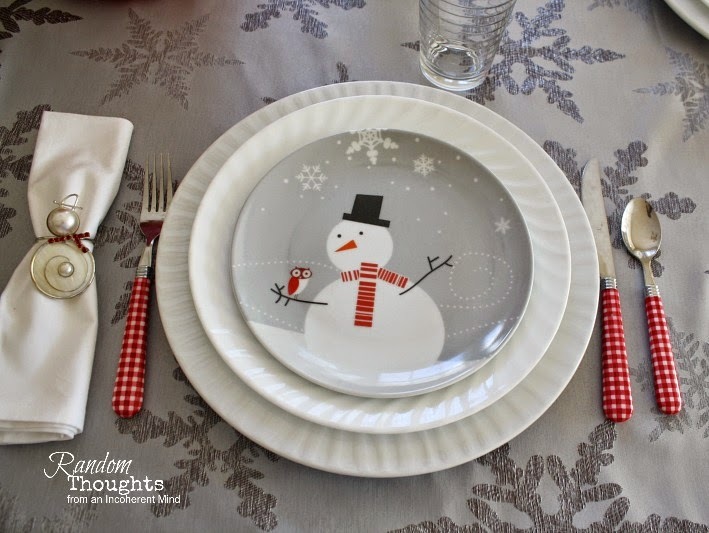 Your tablescape is adorable love the snowmen napkin rings and the plates! I missed your tablescapes. This one is sooo beautiful! Love the plates and the tablecloth is so pretty! oh my gosh.. it is soooo cute gina! the flatware just pulls it all together. Love it. sweet and simple indeed! Oh and you forgot SUPER CUTE! Love the pops of red. So very cute and festive. Hi Gina! This tablescape is so cute. It's a positive spin to the winter season- especially for me! I do miss the Spiegle catalog too. I always spent a lot of time going through it. They had a ships wheel bed I wanted for my son so bad but couldnever afford it. I still remember it!